The patient from Izberg. There were 5 procedures. Psoriasis was on the head and arm (elbow). At first, there was no any positive effect of the procedures. After the 4th procedure, it was necessary to stop the treatment and wait until the skin begins to respond with «gratitude for my attention». We waited! And last month I did the last procedure. My young patient. The first procedure made the strong aggravation. Recently, the last 7th procedure was done. Psoriasis was on the body. Fingers of the schoolboy, my young patient. Now he can hold the pen without pain and most importantly — comfortably shake hands with friends. Moscow. Citizen of Tajikistan. The result after 5 Apsori procedures. There are still some spots of psoriasis. There are 1-3 procedures left to do. This disease is considered incurable. Elena N. At the age of 67 she found some redness, but still did not understand what it was. 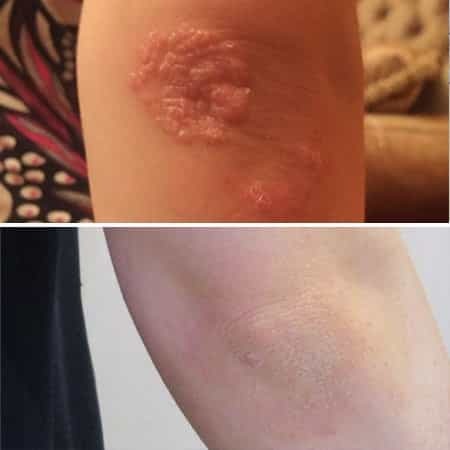 Later she was diagnosed with psoriasis and began to treat it. Elena did everything the doctors perscripted: the injections, Solarium, creams, which she then realized were hormonal. At that time, the psoriasis was partial, on her knees and hands. This treatment helped and psoriasis was gone, and a year later returned and was not partial. The whole body of Elena N. was covered with solid scales, she felt the great discomfortness. Her neighbor told herabout the Apsori, and Elena N. came to me. After 8 treatments we have the result. 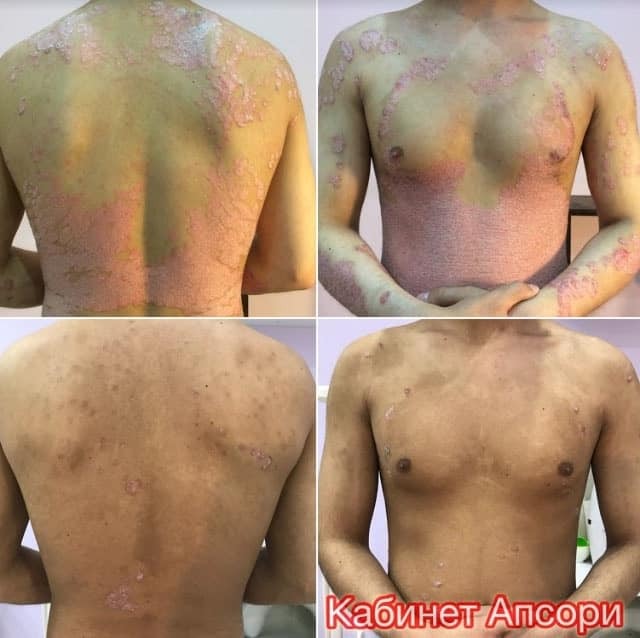 My patient in 2015 at the age of 30 after removal hair on arms and legs saw that there is somr desease on the damaged skin. The doctors did not diagnose her and said say it was an Allergy to the skin product, that she used when she removed her hair. 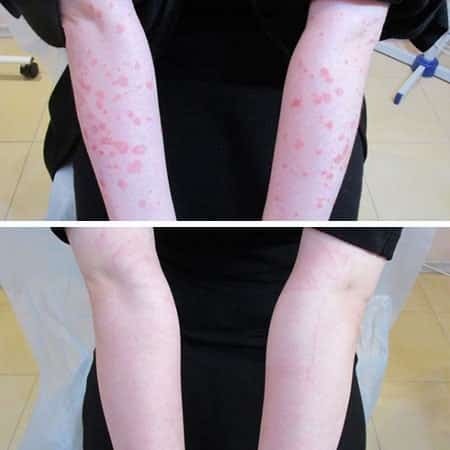 Madina went to Moscow to confirm the diagnosis, and learned there was psoriasis. After the prescribed treatment her psoriasis was not completely gone. Madina heard about Apsori on Instagram and callad me. She had 3 Apsori treatments. The PSORIASIS now is COMPLETELY gone. The pictures made BEFORE Mahomed came to me and AFTER he had the procedure. Mohammed appealed to different specialists for 15 years, but didn’t have any significant relief until he tried Apsori. My patient Shamil, 16. Top photo is made after the procedure, and the bottom is before. Eczema is very easily treatable by the Apsori. 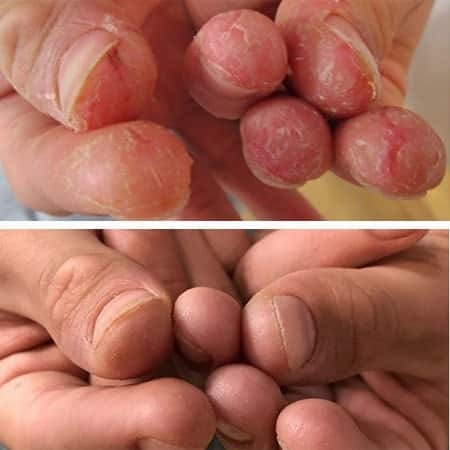 The photo of the hands of the patient after the first treatment. The top photo of healthy skin is made after the second procedure. 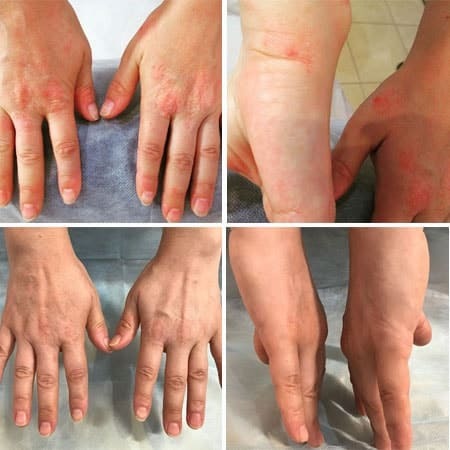 I will open a little secret about my method #apsori for the treatment of psoriasis and eczema. I always anesthetize during the procedure.